Brakes are the single core component of your vehicle that always needs to work reliably. Why? Because simply put, brake failure can be terrifying and dangerous. So how do you keep things safe? Or any other issue that doesn’t feel natural or safe. If your vehicle is experiencing any of these brake-related symptoms, chances are it requires immediate attention. 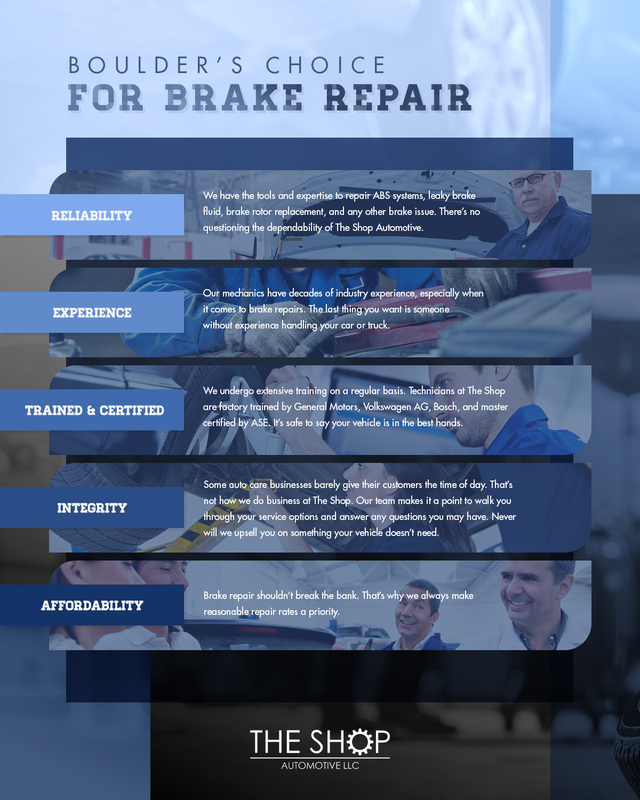 The Shop Automotive is your home for the most reliable brake repair in Boulder. Our team has the tools and the expertise to handle and repair ABS systems, leaky brake fluid, brake rotor replacement, and everything in between. With decades of industry experience, you can bank on the fact that we’ve seen it all and can diagnose and fix your issue faster than our competitors. Our team also undergoes extensive training, and technicians at The Shop are factory trained by General Motors, Volkswagen AG, Bosch, and master certified by ASE. After you drop your vehicle off for brake repair service, we make it easy to stay in touch by phone, email, text, or directly on our website. 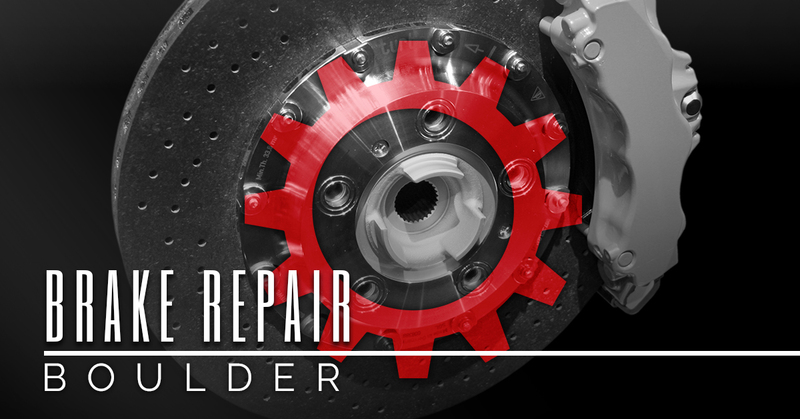 Reasonable repair rates are a priority, and our 36-month/36,000-mile warranty covers the majority of brake repairs. For more information or to book an appointment, contact The Shop online or by phone today.